In The Best Western Au Trocadero, you are just a few steps from an unrestricted view offering a unique panorama over the Trocadero, Eiffel Tower and Champ de Mars. The Best Western Au Trocadero is located in the much sought-after 16th district of Paris and easy access to all major tourist points of interest and business centers of Paris. 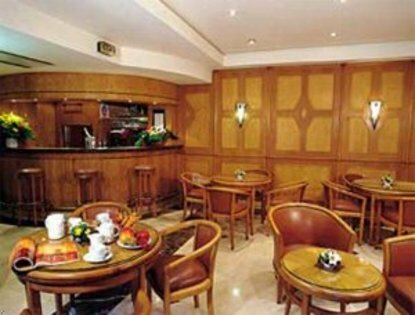 Our hotel features a restaurant and lounge, theater ticket desk, fax and photocopy services. The guest rooms at the Best Western Au Trocadero are equipped with television, direct dial telephone, dataports, Internet access, coffee/tea maker, hairdryer, mini-bar and 24-hour room service.